You can almost hear AC/DC playing the Star Wars theme when you see this latest creation by Zane Houston. Apparently there's a Millennium Falcon contest on TBB, and it's generating all sorts of cool stuff. But what I like about this in particular, besides the clever mash up, is how well it reflects the styles of both genres. As if Tony were Corellian or something. Would that make Pepper a Princess? 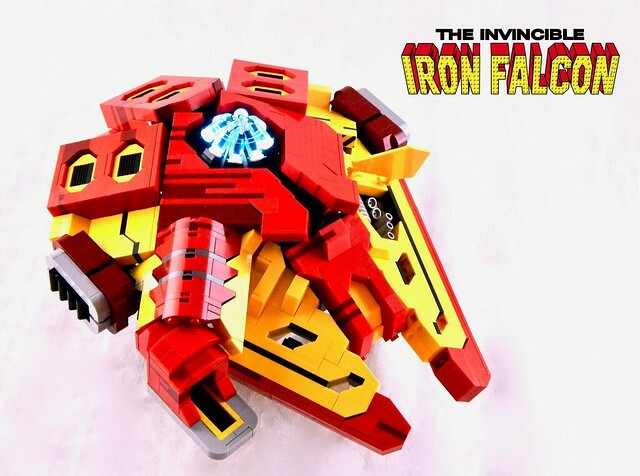 Millennium Falcon, Iron Man, LEGO, Punch it Jarvis!